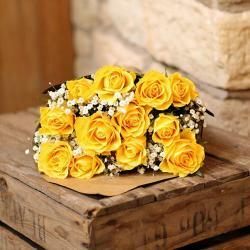 This Bouquet Of Yellow Roses Beautifully Present With White Fillers. 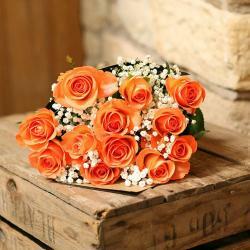 They Are Perfectly Fresh And Will Brighten Your Day Completely. 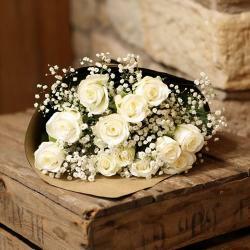 They Have Been Wrapped In Tissue Paper Which Holds The Flowers In Place. 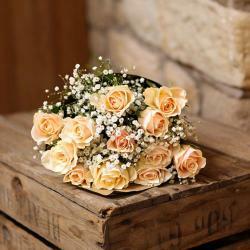 A Bow Has Been Tied In A Matching Ribbon Around The Flowers To Lend A Delicate And Soft Look. 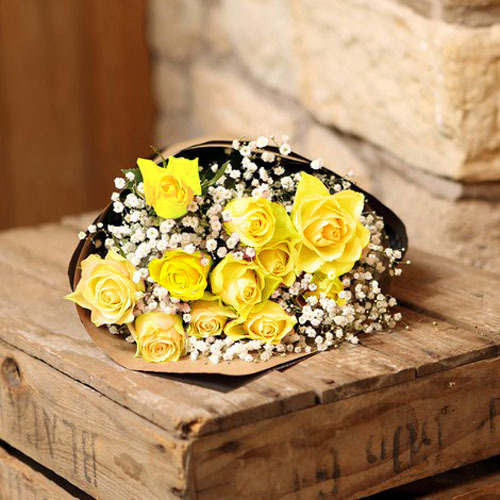 You Can Gift This Bouquet On Functions Such As Weddings, Anniversaries And Birthday's As Well As A Surprise To Your Beloved.